The Open Sun 1050 makes a statement with 30 high-pressure tanning lamps. With its superior glass reflector and filter glass technology, this unit demonstrates how powerful, yet at the same time cool and airy, high-pressure tanning can be. 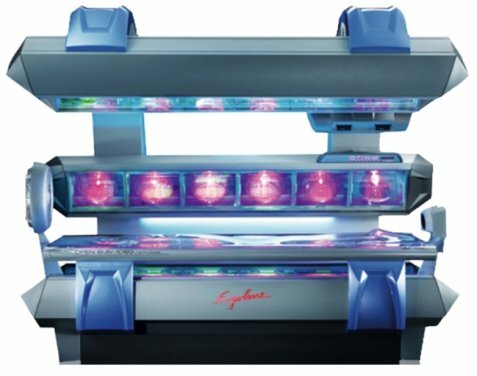 Comfort features like the Multi Relax acrylic, an external MP3 player connection and powerful Fan Cooling Plus make the tanning session fly by. The Open Sun 1050’s massive power and features are controlled by a panel with an LED display. Available at Orleans, Kanata and St. Laurent Locations.